Please look at Fig. 3. Is it again the case that at first you see this earth as a solid (convex) sphere? A satellite takes photographs in the same way inside the hollow sphere called earth. In this photo, subsequently, the earth does appear as a solid sphere. 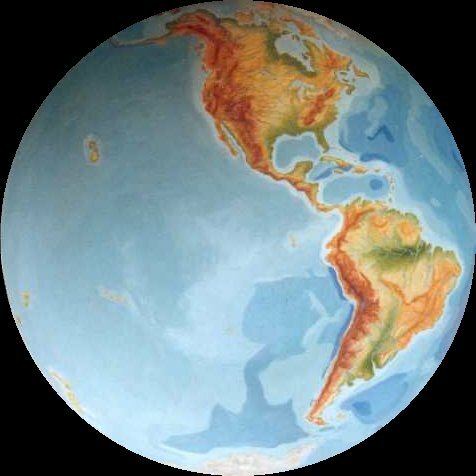 Please consider, that the earth in the photo on the left, actually shows a hollow hemisphere of the inside world (earth) model shown in Fig. 2.